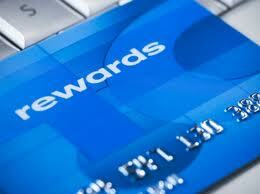 I have been using three credit cards to try to get rewards and cash back for all of my purchases. The reason I was rotating and not using just one credit card is because I believed that some of the cards were not classifying all my purchases as eligible for rewards. I have decided to be a little more scientific in my use of my cards and I will be using only ONE credit card for the entire month. For the month of February I will be using only my Chase card, in March I will use only Capital One and in April I will use only Discover. I should have about the same level of spending in each of those three months since I do not have additional expenses like tuition and books to worry about. I will be keeping my spending level to my zero based budget amounts but I just want to have an entire month’s worth of purchases on one card so that I can see what the rewards will be. At the end of the experiment I will have a better baseline to compare the rewards that I actually do get from using each credit card. I can then make a better informed decision as to which credit card will be the best for helping me to earn cash back as income from making my regular purchases. I have already set up the changes in the automatic monthly payments from my ING account so the Chase credit card will be fully paid off by the end of the month, as long as I don’t spend more than the budgeted amount for the month. I am excited to complete this little experiment so I can see how each card stacks up!!! I will let you guys know the results from each card as this should be available from the statement online. I will check the points at the beginning of February to see if there are any changes to the point levels so that I do not mess up my calculations. Ya I agree with you on 3 credit cards plan. How is this going to work when you have rotating categories earning 5% cash back. Discover is changing their cash back from restaurant and movies in the 1st quarter, to get ready for spring in April. What about your Chase card? Is that also 5% on rotating categories? If you suspect cash back is not being reported, you may be better of trying to single out those transactions and only use the card for one single transaction for that month. I think your method will only work on cards where cash back percentages remains the same. It will be tough but I don’t really utilize the 5% rotating categories much except for gas. I don’t go to the movies and I barely eat at restaurants so I guess I will just focus on my regular spending to see which one gives all of my cash back and do without the extra 5%. I hope that makes sense. That makes sense. Will be looking for the results of your experiment.